Now that you have your taxes done, let's get together and play some soccer! Tournament T-shirts Included with registration! 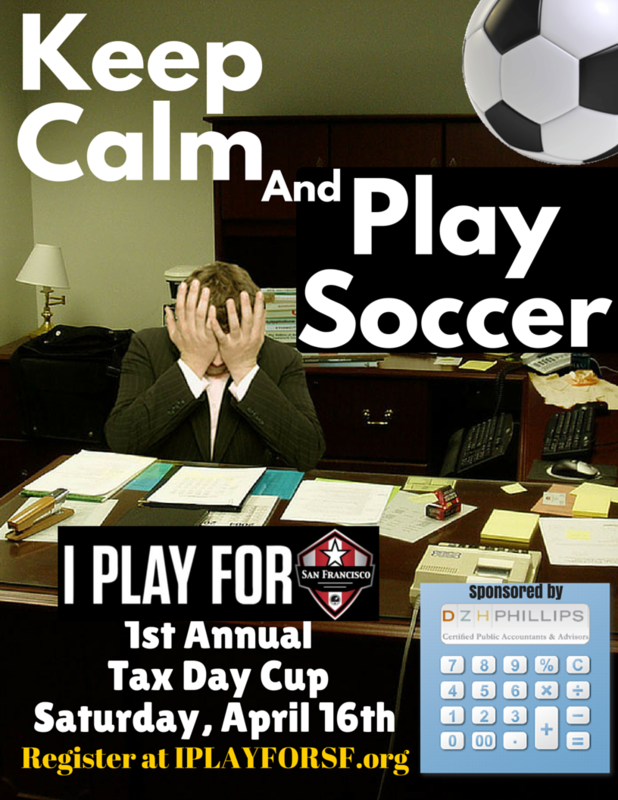 Check out this Soccer (Outdoor) tournament 'IP4SF: Tax Day Cup 2016' with I PLAY FOR SF!